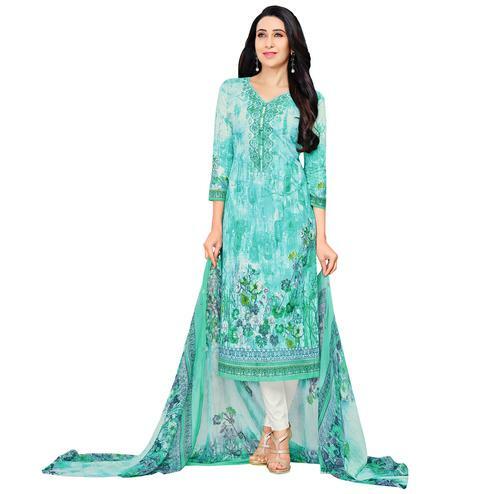 Make an adorable statement in this eye-catching blue-green party wear straight suit. 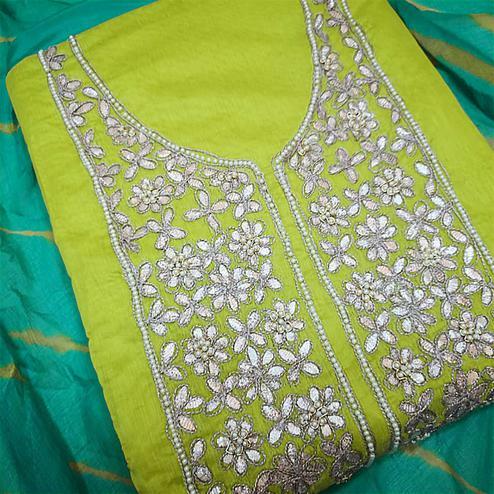 This cotton jacquard straight suit is stylized by beautiful embroidery work. 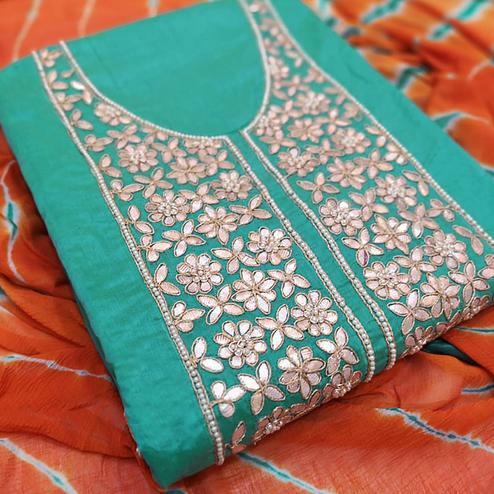 Comes with matching cotton lining & bottom, along with embroidered chiffon dupatta all synchronized well with the latest trend and style. 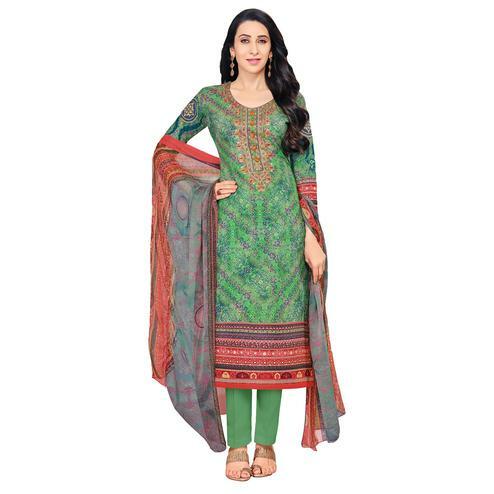 This unstitched outfit is perfect to wear at parties, functions & occasions. Team this suit with ethnic accessories and high heel for a complete look.